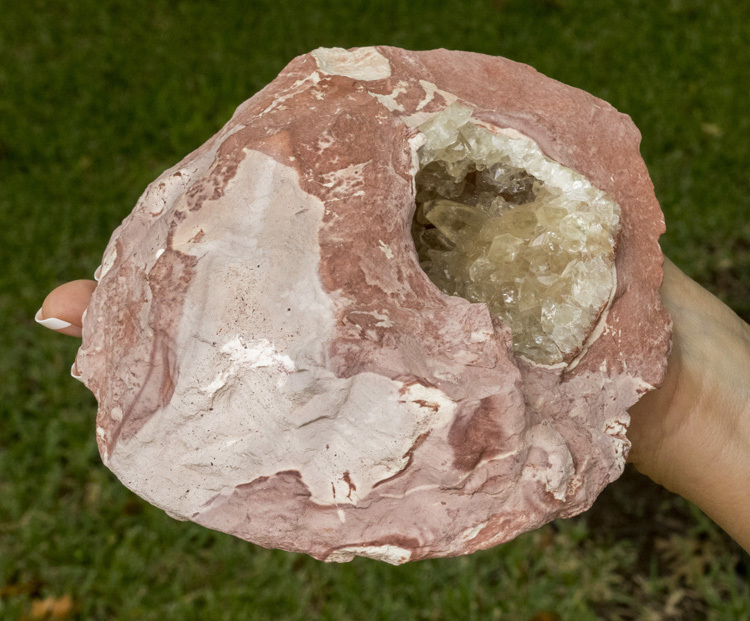 This is a very unusual calcite & matrix specimen from Morocco. 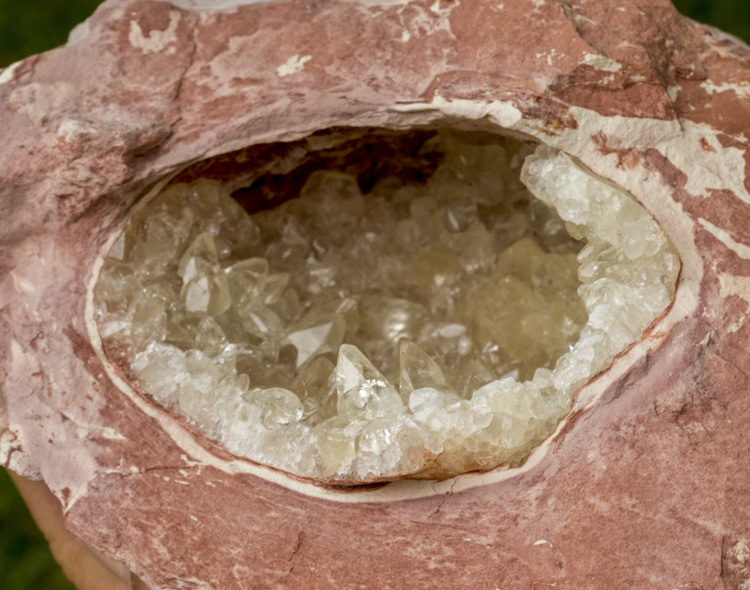 At first glance it appears to be a simple natural vug / cavity with white calcite crystals growing inside of it, but it's more than that. 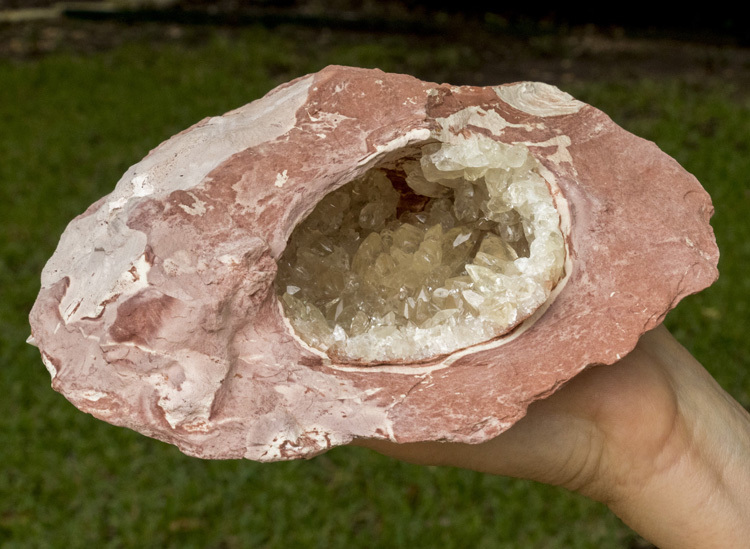 When you look at the underside of the piece you can see why. 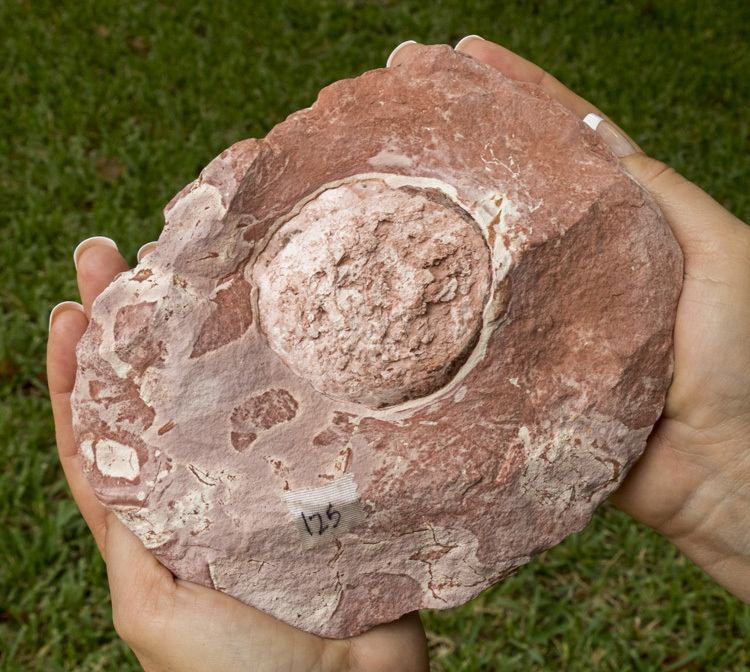 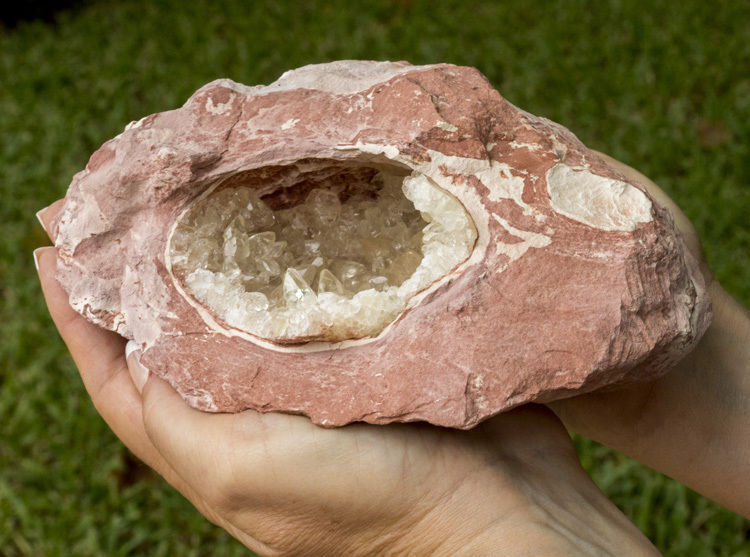 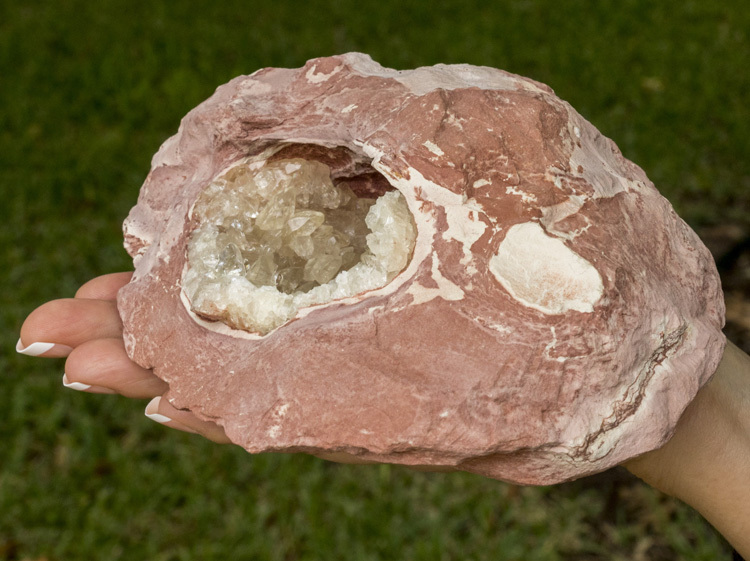 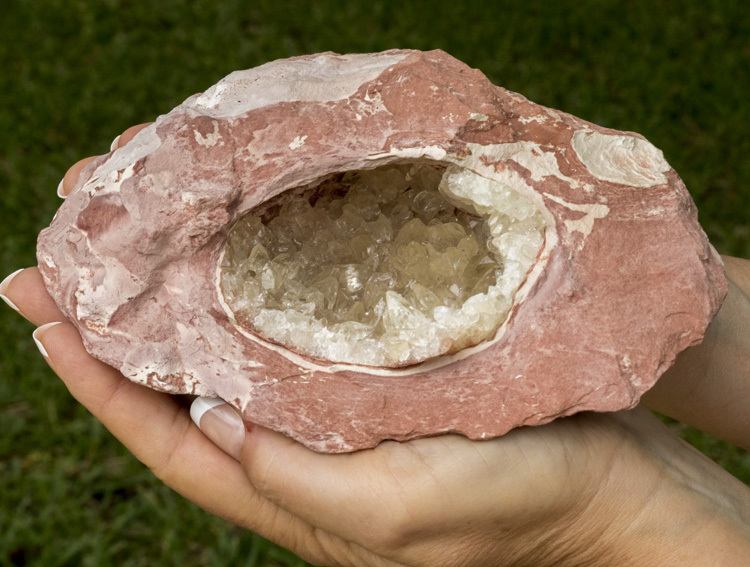 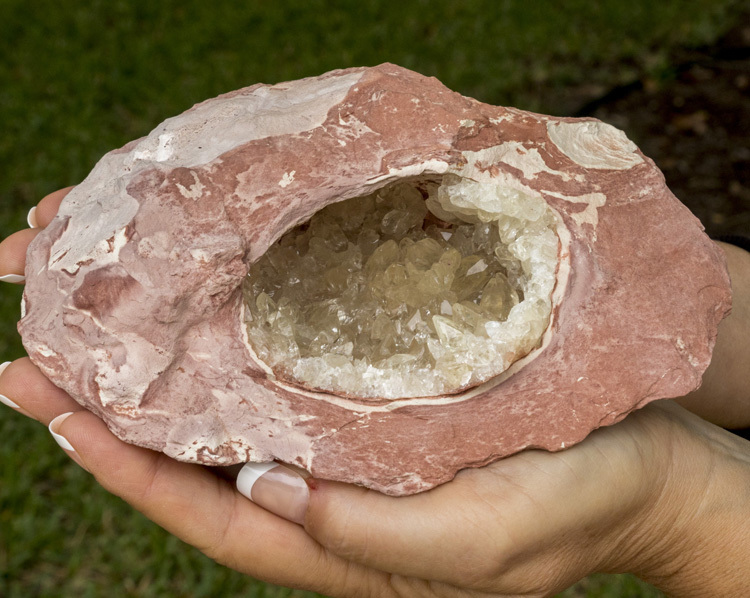 The calcite appears to actually have been growing inside a smaller, baseball-sized geode structure, and then that became encased in the outer rock matrix. 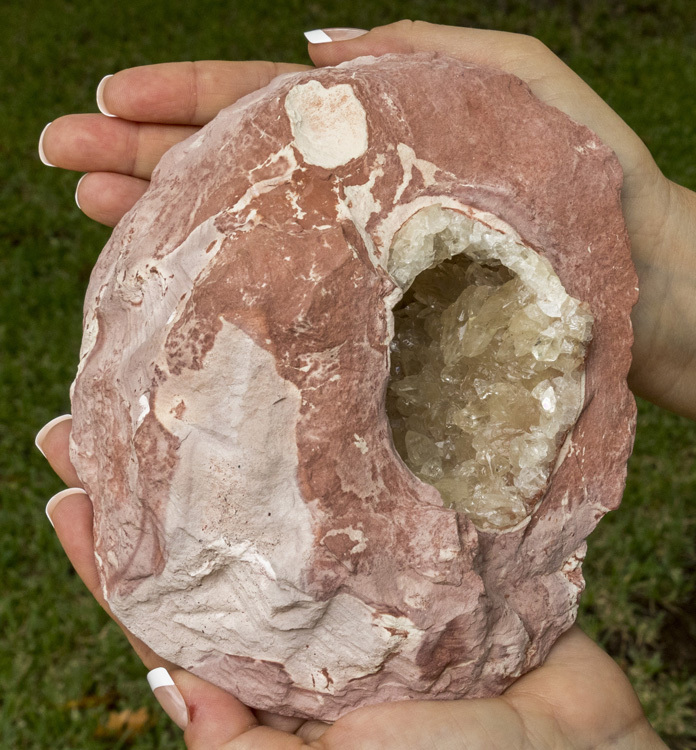 The specimen lays flat and displays well on its own without any supports The condition is excellent, and what's hard to see in the photos is that the calcite crystals are quite glassy-clear, shiny, and nicely terminated.